The SKY I really has an impressive appearance: Large and elegant, but always very dynamic; and the automotive front and sporty lines are the reason. 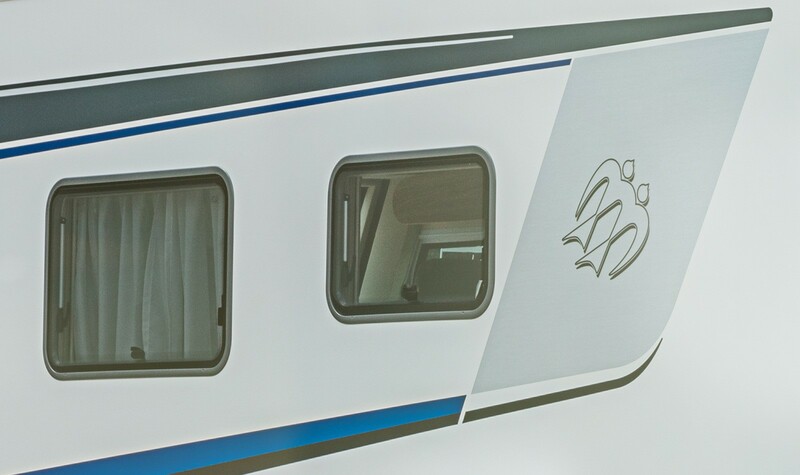 Get on board and enjoy the view from the large panorama windscreen. 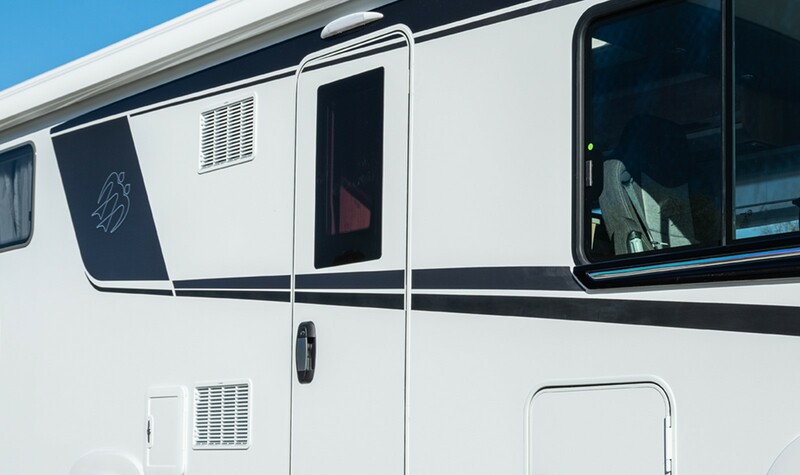 Modern, manoeuvrable, perfectly equipped. There is one thing the SKY I cannot do: not attract attention. And it’s no wonder, considering these design highlights. Due to the GRP underbody, the structure is ideally protected against environmental influences. Plenty of storage space due to additional compartments in the double floor. 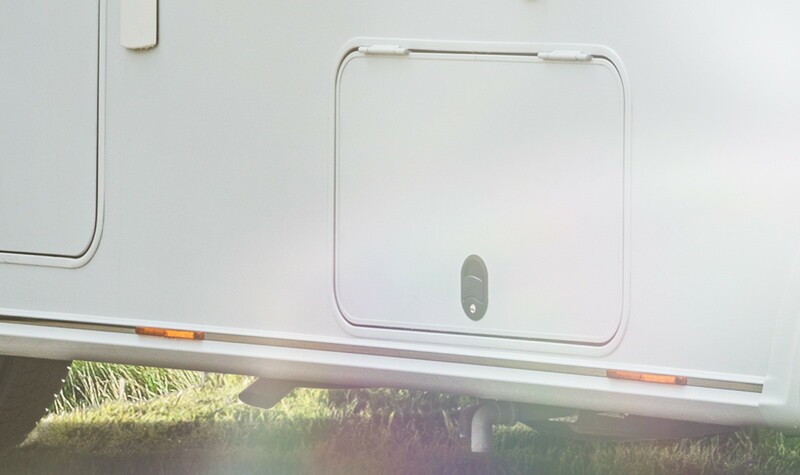 Especially simple access to the gas bottles for maximum convenience. 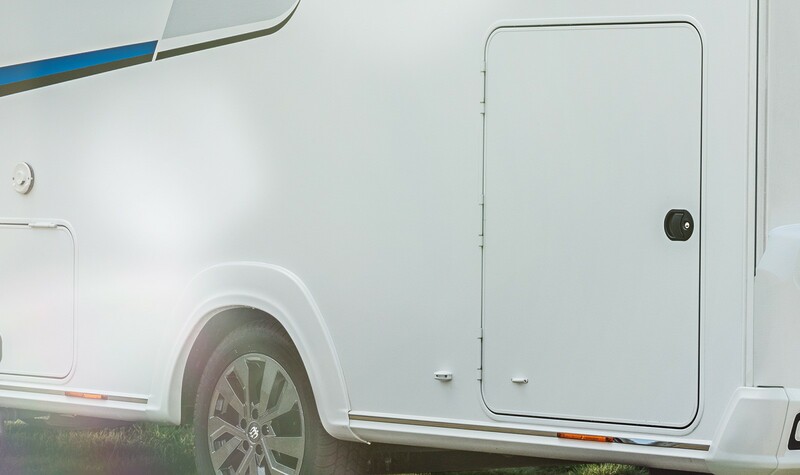 The new KNAUS PREMIUM cabin door has quite a bit to offer: for example, real glass windows & an automotive locking system. 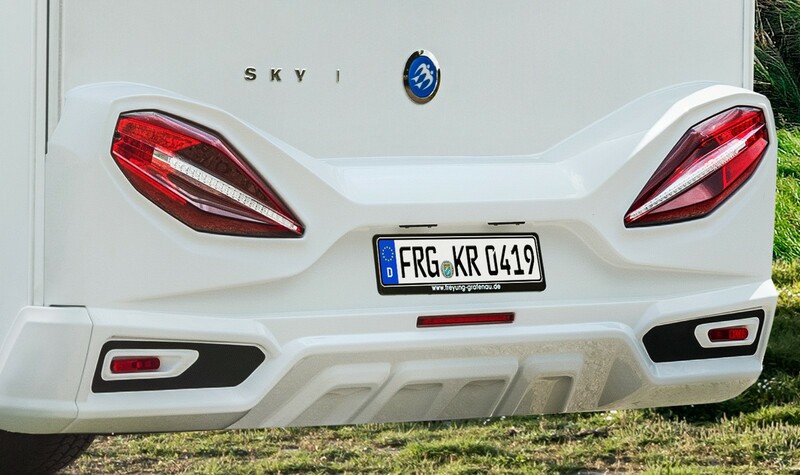 With the comprehensive styling package, the SKY I becomes even more attractive. 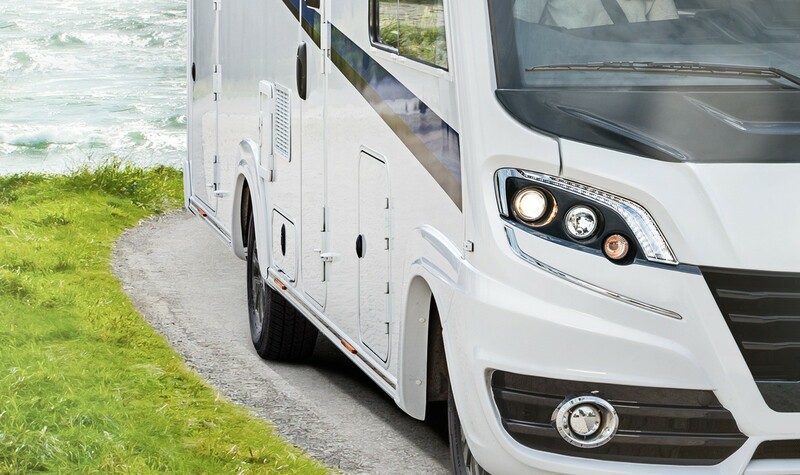 Among others, the exclusive 17“ KNAUS aluminium rims & high‐quality chrome applications are part of this package. The ServiceBox ensures maximum convenience. Fewer noises from the wind, greater safety, and elegant looks due to Seitz framed windows as standard. 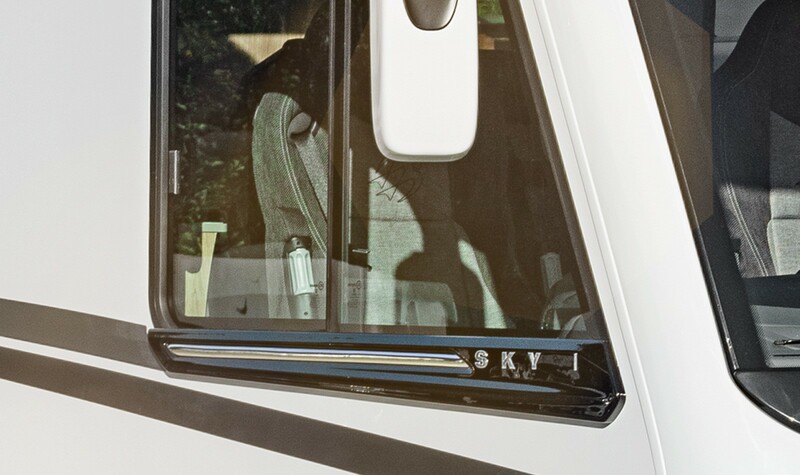 Outer doors with single‐hand operation and optional central locking for exceptional ease of use. Provides ideal protection against heat and cold: quality XPS insulation. 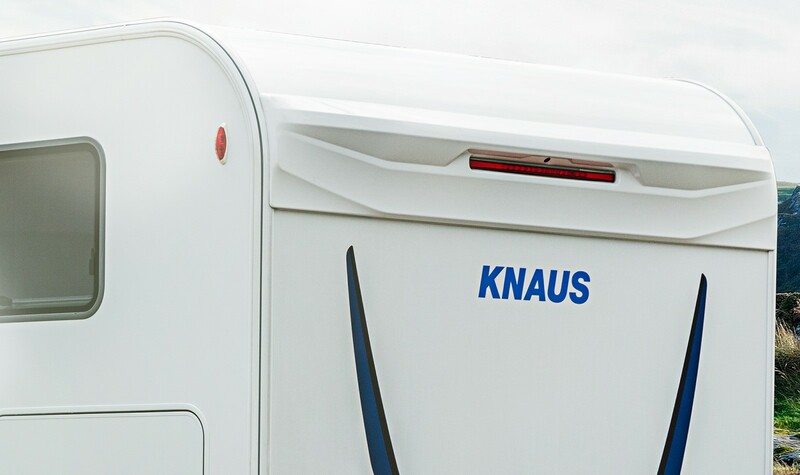 The exclusive KNAUS CATEYE evolution – rear tail light is a true eye catcher and increases driving safety.